The intent of Universal Design is to provide what is considered “Life Span” or “Barrier Free” designs. That means that products and the built environment are designed in a way that everyone is able to use it, no matter a person’s age or ability. The design is not only intended for a person with a disability but also for a child or shorter adult to easily use and provided in an inclusive way. 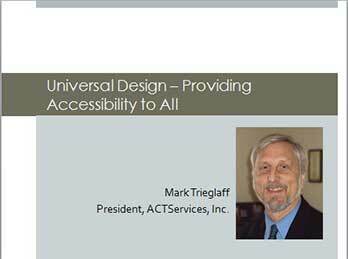 This session will review the history of Universal Design, what makes it different and more effective than present accessibility codes and examples of how these can be included into zoo, aquarium and museum designs.